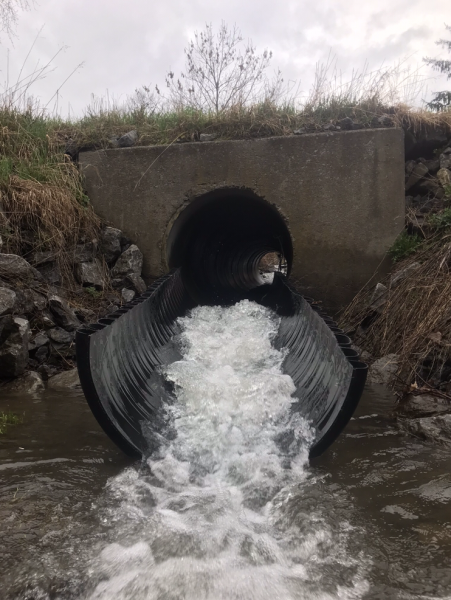 Posted 12-18-18: Culverts in general will restrict upstream brook trout passage because they increase the velocity of streams. 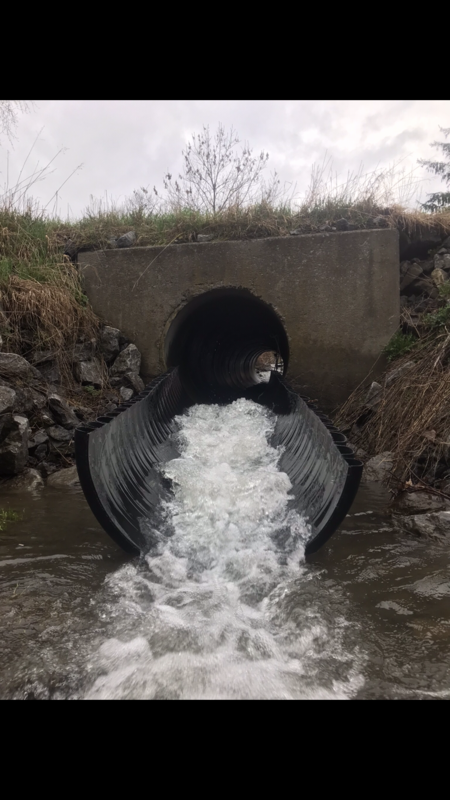 Perched culverts, or culverts with an elevated outlet, further prevent brook trout from reaching upstream habitats. This upstream habitat is critical for spawning, but is also important for feeding. We were trying to build a device that could connect brook trout to these upstream habitats through a perched culvert. The device had a series of plastic baffles that impeded the flow of the stream. We tested the device on an unnamed tributary of Panther Creek. We measured the velocity in front of and and behind each baffle. This was compared to the velocity of the stream coming from the actual culvert. The device did work as intended, reducing the velocities coming out of the culvert very nicely. The baffles both slowed the velocity and created small pools in which the brook trout would be able to rest while ascending the device. The device was intended to eliminate the vertical barrier and reduce the velocity to a level in which a brook trout would be able to swim up. The next step would be to test this device using PIT tagged fish and assess actual fish passage.